Coffee in a medieval garden and an air raid! When our tour of the vaults and walls ended outside the Wool House my foot was a little achy and CJ and I were in need of coffee. The Wool House already looked packed so we decided to walk up Bugle Street towards the centre of town and find somewhere there. 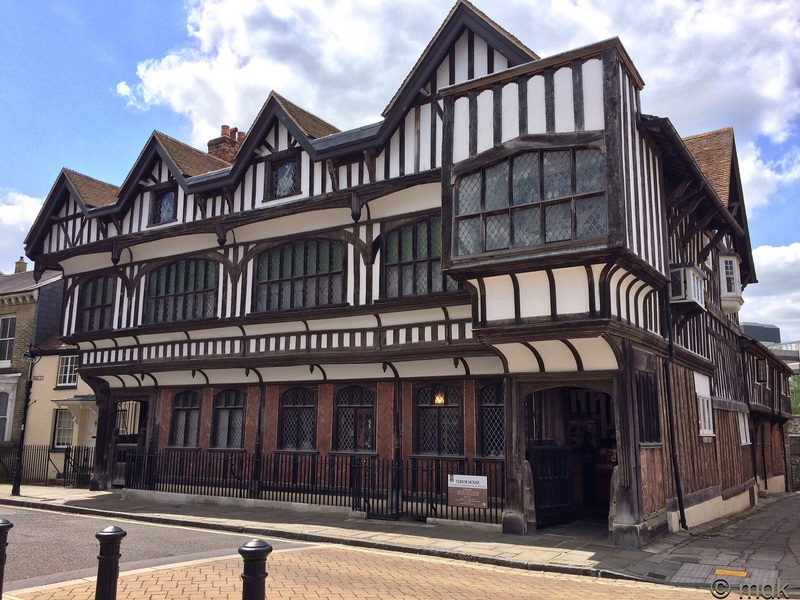 As part of the price of the tour we’d been given discount tickets for Tudor House Museum. CJ was keen to use them but, given the time and my aching toe, I thought we’d be better saving them for another day. Besides, it was sunny and we’d spent a great deal of the morning underground. There was no reason we couldn’t go inside for a coffee though and maybe a little look at the garden. Continue reading Coffee in a medieval garden and an air raid! Posted on June 13, 2015 June 12, 2015 Categories 2015, History, June 2015, WalksTags Air raid shelters, Air raids, Cannon, Cellars, Coffee, Gardens, History, King John's Palace, Nature, Southampton walls, Spring, Tudor House, Tudor knot garden, Vaults, Walks10 Comments on Coffee in a medieval garden and an air raid!